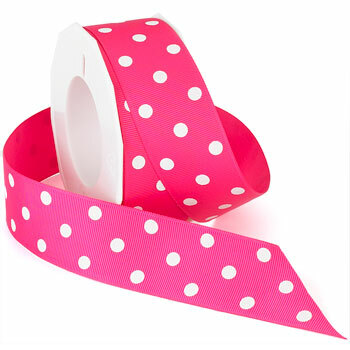 Our 1-1/2 in, Grosgrain Dots add a fun and popular touch of dots. It is perfect for hair bows, flower arrangements and any other type of crafts. It is available in over 10 color patterns.